Bajaj Auto is India’s fourth largest brand by domestic sales and largest among those who export to different markets worldwide. The range of products start from INR 32,000 for the CT100 and ends at INR 1.63 lakh for the Dominar 400. 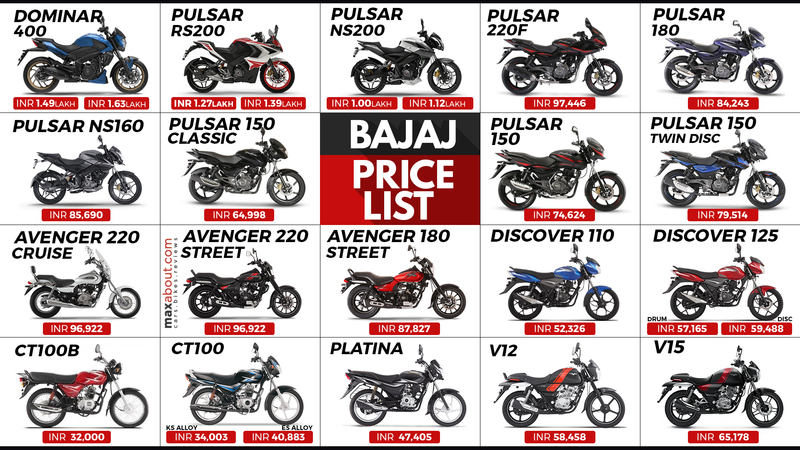 The brand Pulsar is the highest selling sportbike series from Bajaj while Avenger series caters to the need of cruiser lovers of India. Both Platina and CT100 are ranked among top sellers while the absence of Bajaj Auto from scooter market has created unlimited opportunities for Honda, Hero, and TVS. Dominar 400 is their slowest selling product in the country.